(Photo courtesy of Provo Police Department) A crash in Provo killed a 3-year-old girl and left her mother and 8-month-old brother in critical condition on April 15, 2018. Three-year-old Chelsea Parkinson was killed in a car crash in Provo on Sunday. The girl’s mother and 8-month-old sister were also critically injured in the crash, according to Provo police. At about 4:48 p.m. Sunday, a Pleasant Grove utility truck was traveling south on University Avenue in Provo. It was near 3700 North when the driver veered off into the left lane and rear-ended a station wagon, according to Provo police Detective Nick Dupaix. The crash sent the station wagon into a white sedan, which smashed into a minivan, according to Provo police. Six other people were injured in the crash and are expected to recover, according to Provo police. The truck had been moving 50 miles per hour, and after it crashed into the station wagon, both vehicles travelled 69 feet after the impact, Dupaix said. Police are investigating whether the driver — who was in the truck with another adult and a child — was on the clock for the city, as well as how the crash happened, Dupaix said. 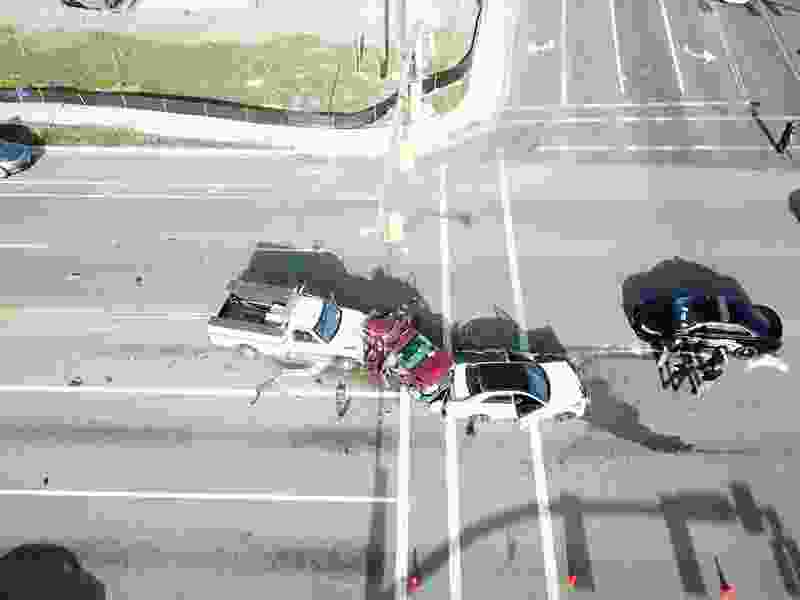 Anyone who witnessed the crash is asked to contact Provo detectives at 801-852-6210. Correction: April 16, 6:15 p.m. • A previous version of this story misspelled Chelsea Parkinson's name and misstated the age of the 8-month-old infant.